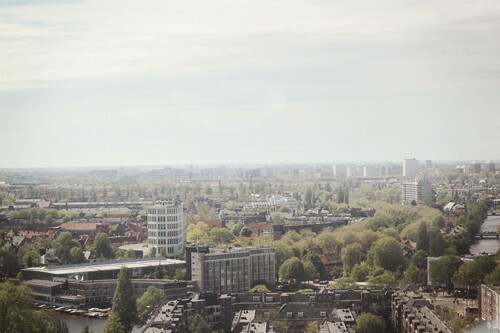 Yesterday I was invited to the stunning sky bar of hotel Okura for an afternoon of Cointreau cocktails and an exclusive chat with French couturier Alexis Mabille about his collaboration with the brand. 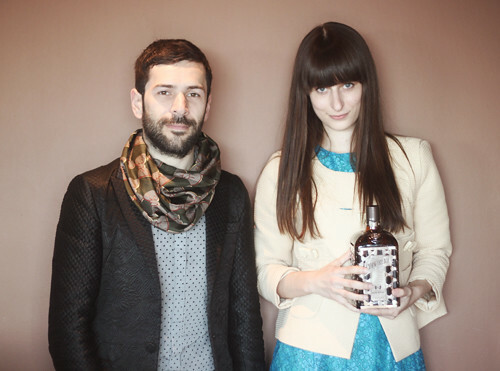 How did the collaboration between you and Cointreau come about? In a very easy way. 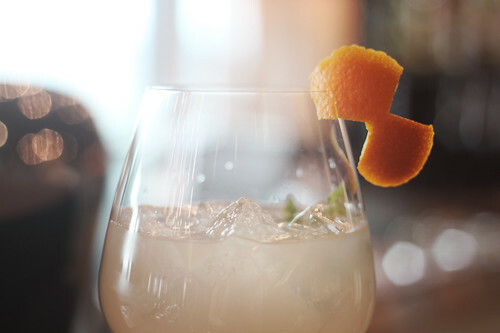 I knew Cointreau, because in France it's everywhere: In cooking recipes, in cocktails, it's in everything. I'm friends with Dita Von Teese, so I knew about all the new things Cointreau was doing with her in terms of connecting to fashion. 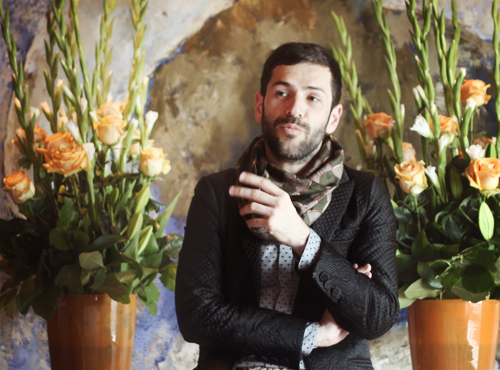 They proposed me to do this huge project which was doing Cointreau Privé in Paris and the bottle. It was more than just the bottle, it was creating something interesting around it with lifestyle, having fun and being festive. It was a good way to link fashion and alcohol in a personal way. 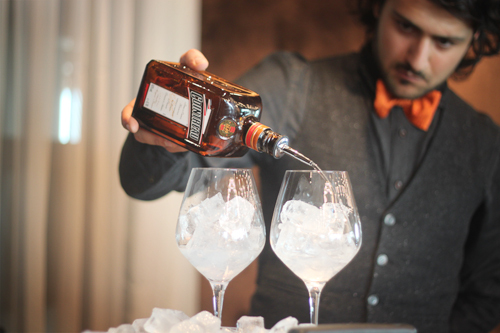 Cointreau Privé was a pop-up bar during two months. It was a huge success because we recreated the atmosphere of a dark, comfortable hotel bar in a place that nobody knew in Paris. You had to come in through the kitchen into a cellar which we transformed to a very art deco style bar. You developed your own cocktail for it. What's in it? It's a mix of Cointreau, champagne, ice and strawberries. It's a very dangerous cocktail, because you always want more. What was your inspiration for the bottle? I chose the silver because I like the classic idea of silver tableware and silver cocktail shakers. I was inspired by that. 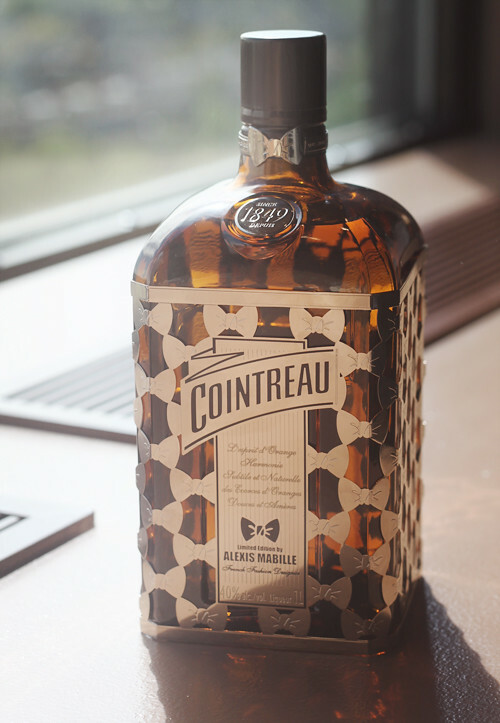 I always knew I wanted to use bows, but I also wanted to keep the original shape of the Cointreau bottle, which I think is very nice. A bit like an old perfume bottle. When you look at the old Guerlain perfume bottles with the metal around it, that was the idea. How did the bow become your signature in your designs? When I started, my first collection was a unisex collection. 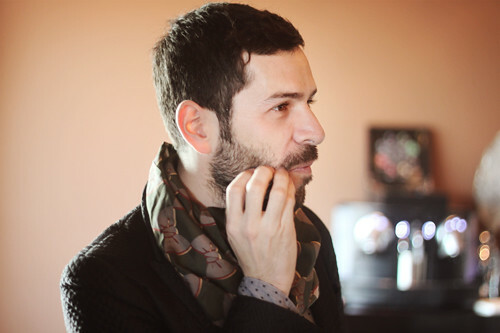 I thought the bow or the bow tie was a good symbol for both the masculine and feminine. Bows were very old fashioned in France at the time, but I thought it would be fun to make it cool again. If you wouldn't have become a fashion designer, what would you be doing now? As a kid I always wanted to be an opera singer. But I think I would have been in the decoration business, because I really love that. It's creative and I love everything around furniture and decoration, colors and fabrics. I collect a lot of glasses, dishes, silverware. Every sunday morning I'm scouring the flea markets. Which celebrities do you dress at the moment? I'm doing the costumes for Dita's new show in America. We have a lot of others. Next week is Cannes festival, so we're very busy. We dress Carla Bruni, Keira Knightley, Beth Ditto, Lady Gaga. It's funny, because it's really eclectic: Very classic people, but also very eccentric ones. That's the base of my work, each piece could be crazy or not, depending on the styling. Is there someone you would like to dress in the future? The Queen of England. I love that idea because it's a challenge with all the protocols and the rules around it. But there are of course a lot of people I'd like to dress. What is nice is that a lot of those people approach us. For example, we are dressing Sarah Jessica Parker. One day she called directly to the office to say she loved my work and she'd like to wear it. It was all very simple. I had a really lovely afternoon and I was so honored to be invited! Alexis was super friendly and enthusiastic. Later we went to the official launch party in a cute boat house, but I'll tell you all about that in a next post! Way too many photos for one post. Mooie fles met die strikjes. Gaaf dat je er bij mocht zijn :D Leuke foto's!